Imagine the exhilaration of floating 400 feet above the earths surface. While taking in a fantastic view of Gulf of Mexico beaches and the intracoastal waterway. Imagine the excitement of descending slowly towards the ocean and then being gently dipped into the water. Why imagine it when you can do it? 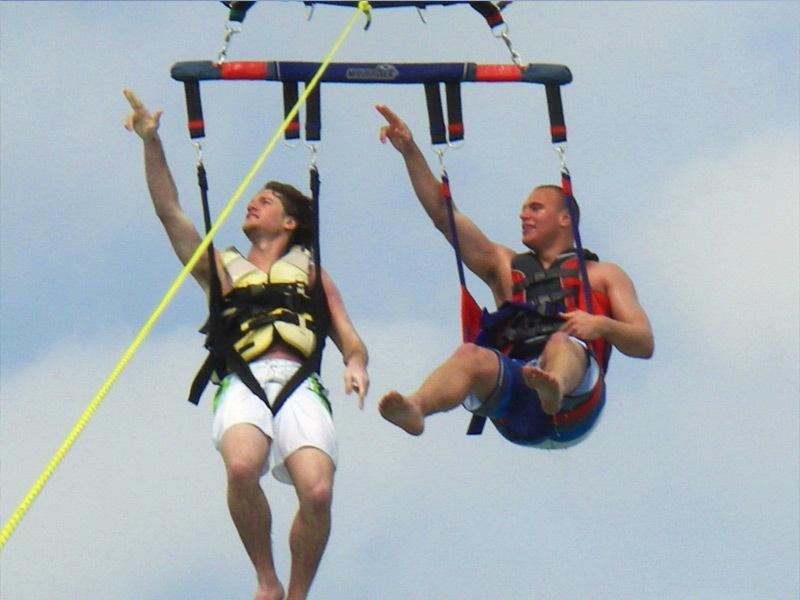 If you can sit in a chair, you can parasail. It’s just that easy. 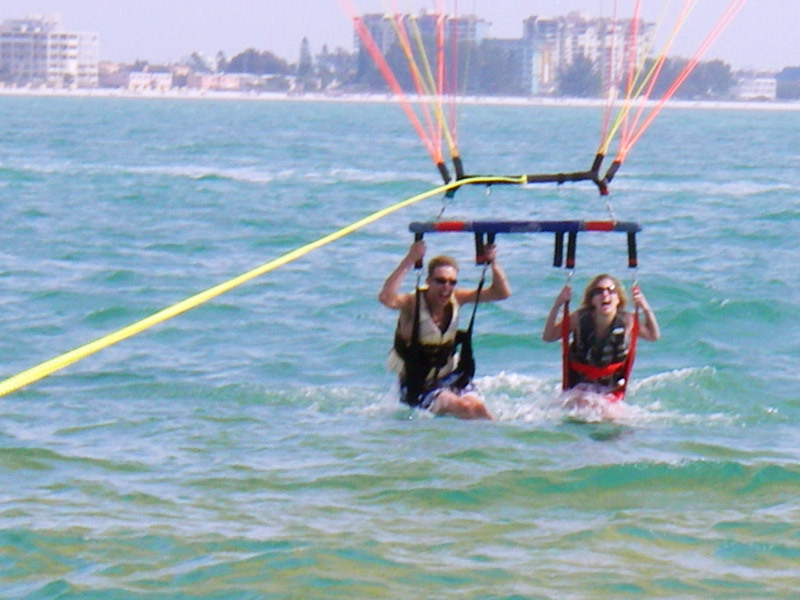 One, two, and three can fly and depending on the day, you will be able to see from St Pete Beach, Treasure Island, Madeira beach all the way up to Clearwater Beach. Fly-N-High has a business licence with the City of Madeira Beach and maintains full insurance on all passengers, crew, business operations and vessels. 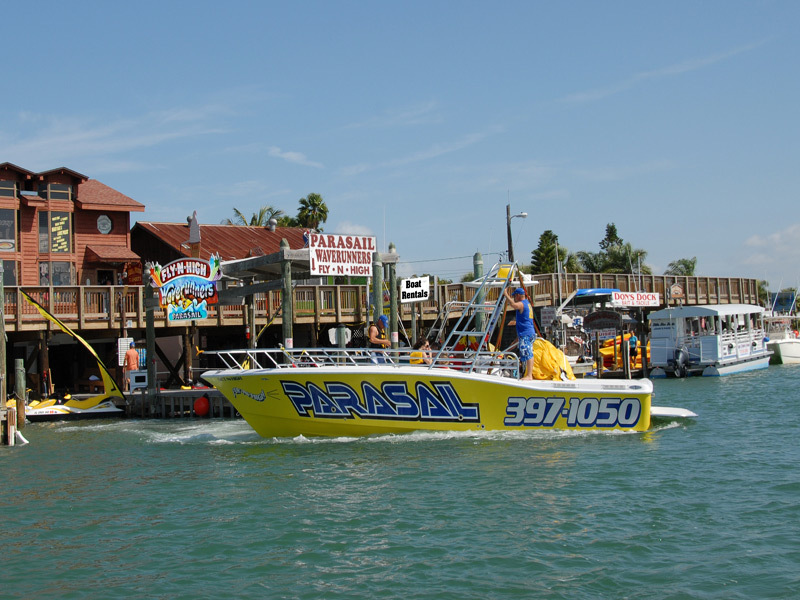 Unlike other parasailing operations you’ll board our boats from the safety and convenience of our dock. 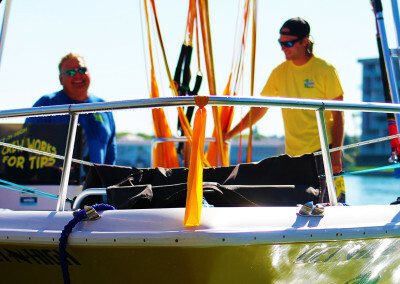 No need to get in the water and climb onto the boat – this way you can stay dry the entire time. 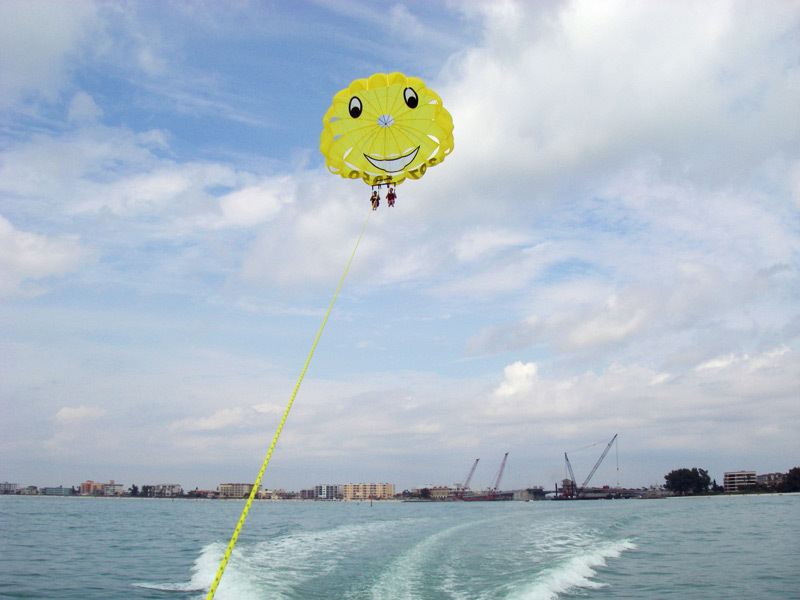 The “Fly Zone” for your parasailing adventure is less than five minutes from our dock so it won’t take long for the fun to begin. 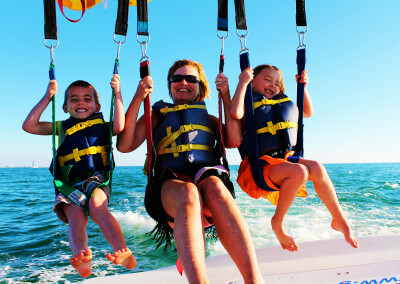 Parasailing is safe and suitable for any age and an adventure with memories to last a life time. 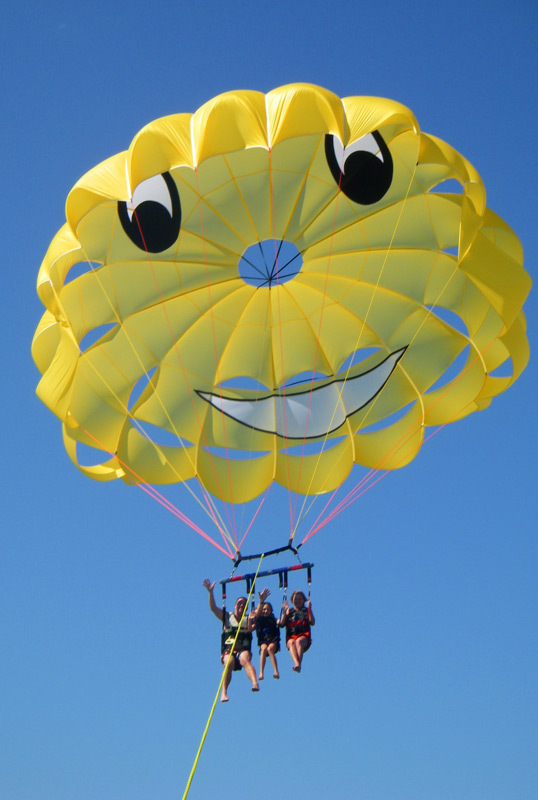 Fly N High offers the NEW Deluxe Parasailing Adventure. It’s so simple that anyone can FLY. 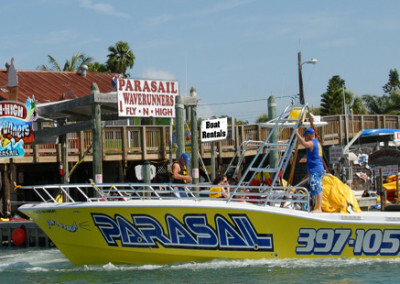 Keep an eye out for the friendly Dolphin playing in the parasail boat’s wake and all the wonderful wildlife that surrounds Pinellas County. 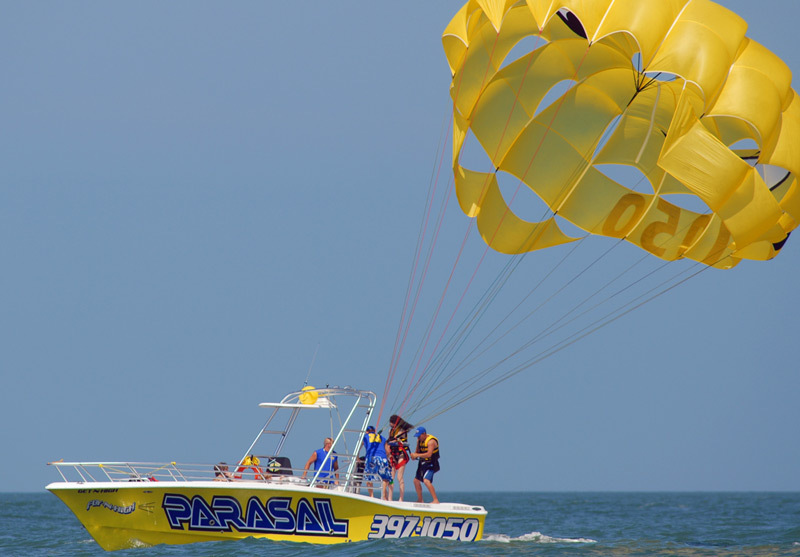 With two, 12 passenger, US Coast Guard inspected parasailing boats Fly-N-High Parasail can handle your large family function or company event. 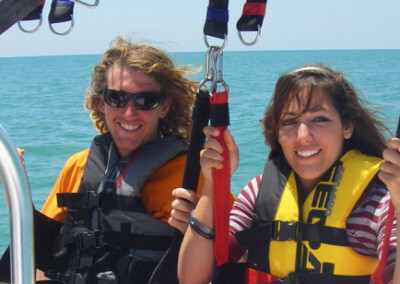 Our larger inspected parasailing boats provide a ride that is safer, dryer and more comfortable than what you’d experience on the smaller six passenger uninspected boats. 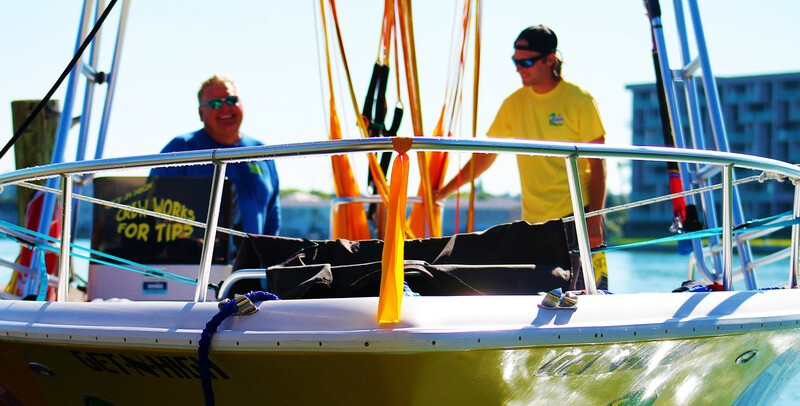 All of our Captains are US Coast Guard licensed and our experienced crew is fully trained. Our website provides an easy and convenient online booking system. 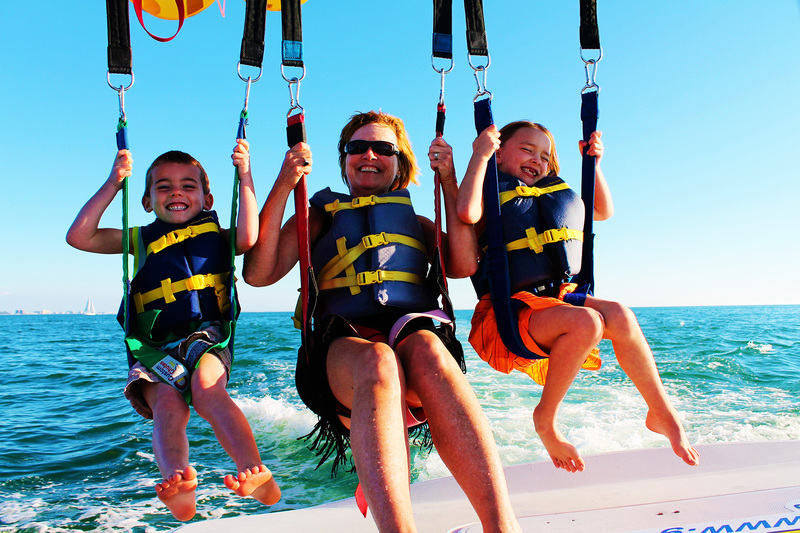 Just complete a quick form and you’re on your way to fun in sun and adventures in the Gulf of Mexico. So what are you waiting for? Your awesome vacation starts here!